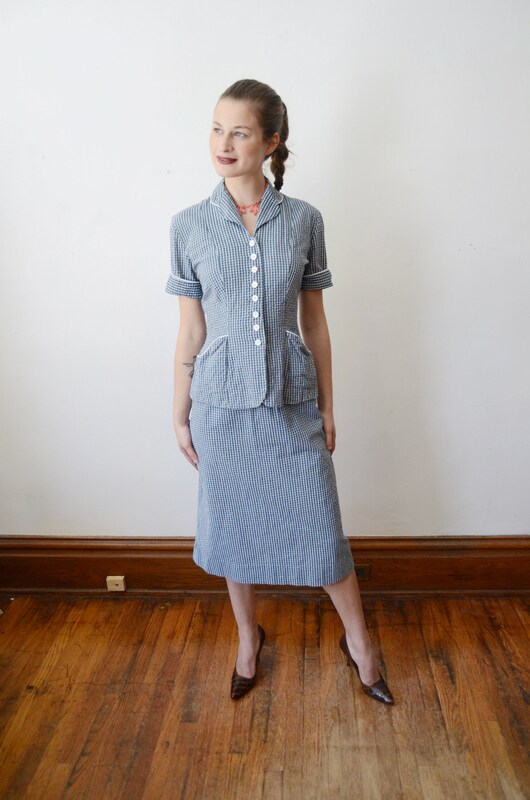 Description: Top and skirt set from blue seer sucker. 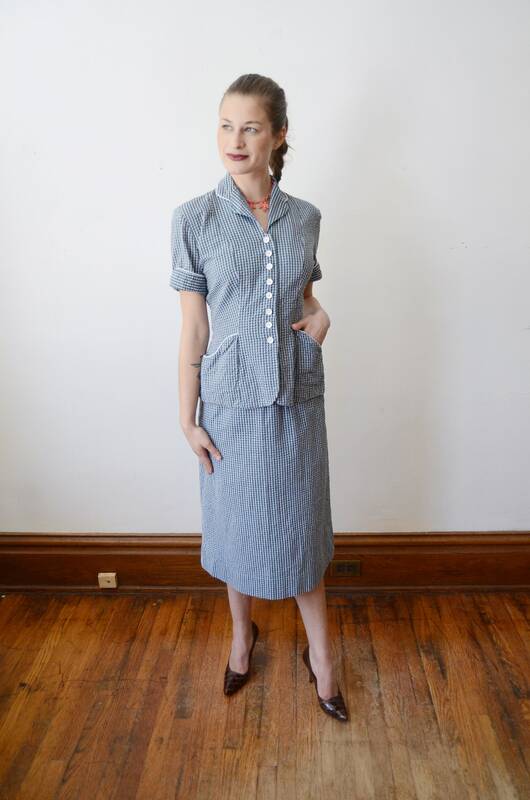 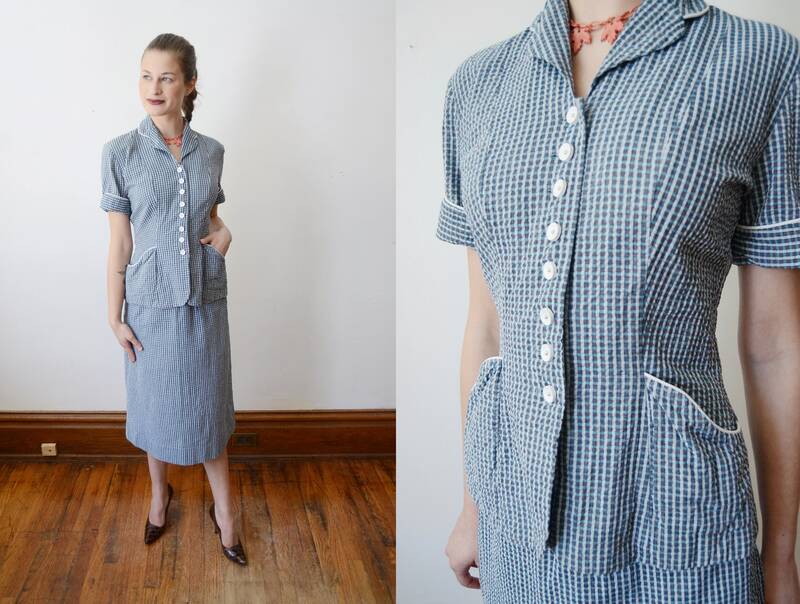 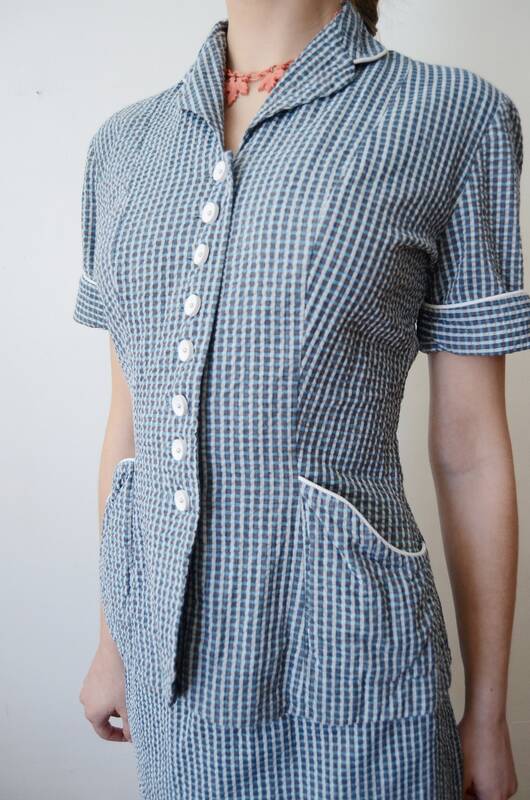 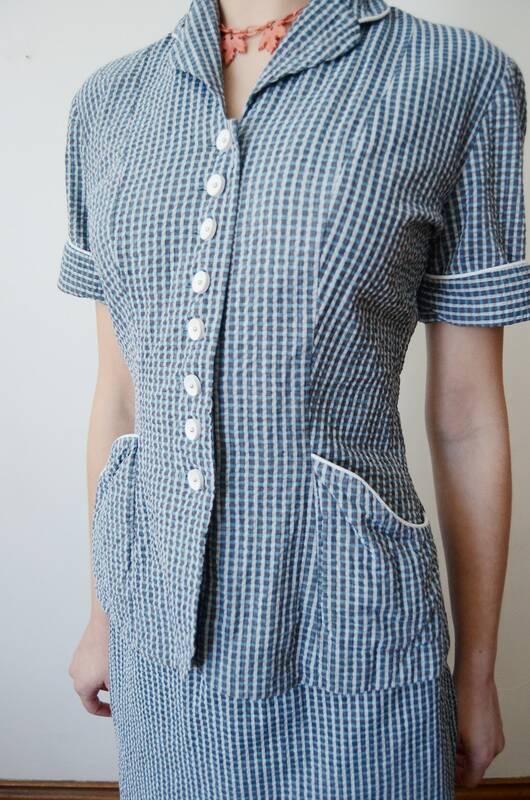 White buttons up the top and a side metal zipper on the skirt. 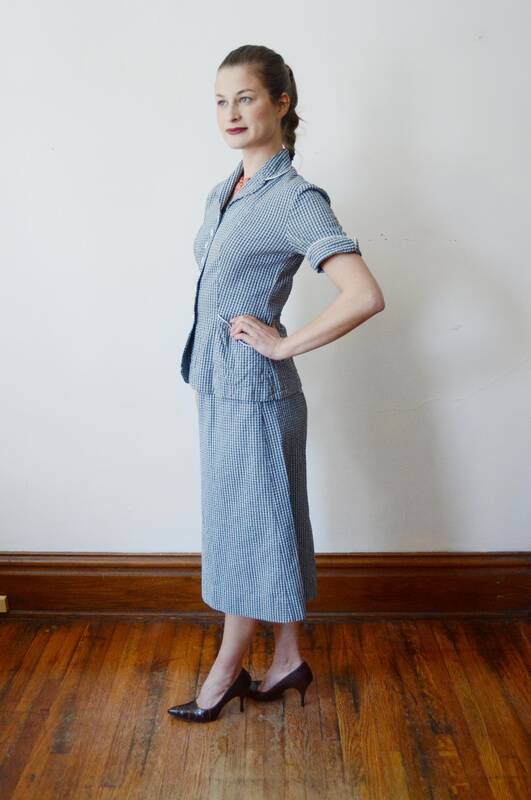 A great lightweight summer suit!